Truffles NC Black Truffle Products and Information: Black Truffle Farm Opportunity Expands -- New Trees in the Ground!! Black Truffle Farm Opportunity Expands -- New Trees in the Ground!! Transition is the name of the game here at Keep Your Fork Farm. Out with the old and in with the new! 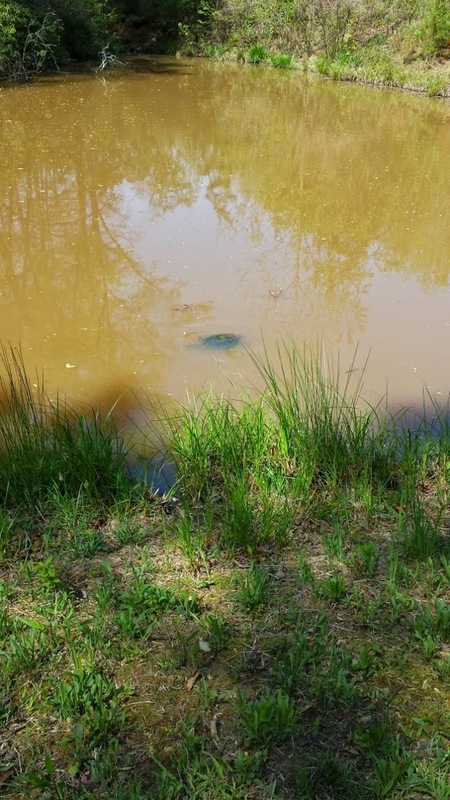 BIG Turtle -- Found for the first time on Wednesday! Beautiful! Neighbors, friends and hired hands -- all hard working -- have pitched in to assist with the operation. We have removed approximately 250 severely diseased trees (EFB) and successfully replaced them with Chinkapin Oaks (Quercus Muhlenbergi). What we have essentially done is to re-forest the 3 acres which were originally planted with hazelnut trees with a much larger tree and lots fewer of them. It will take years to see the fruits of our labor with these trees but I am not giving up! Thanks to Charles Lefevere at New World Truffiere for supplying these beautiful seedlings! This time, instead of removing the old trees, I left them in place so the remaining truffle mycelium around those old roots could HOPEFULLY assist the new. It's all a work in progress . Another little beauty with the old one's remains just behind it. Link up you guys! Removed trees being dragged down to the open center of the field for burning. If you're new to my blog, here's a little refresher in the history. 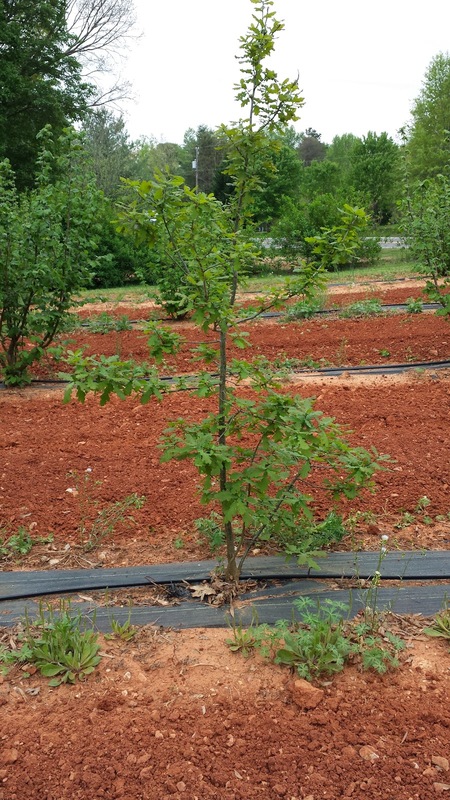 In April of 2011, we pulled out the original orchard (planted in 2000) because of disease and replaced those trees with a new assortment of blight resistant filbert (hazelnut) and English Oak trees provided by Garland Truffles. One variety of the oaks didn't make it so I planted lavender in all the open spots. I was thrilled to see the lavender come back to life as the trees leafed out this spring. And --all those trees look gorgeous!! Truffles this winter, Maybe?? Holding the vision of truffle pups finding black truffles with Keep Your Fork Farm and Pilot's Knob just beyond them!